I finally changed over (or should I say back) my main desktop to Linux. This time it is 64 bit Ubuntu 10.10. I have been running Linux for the last 15 years or so, but changed to Windows some year ago and one of the reasons was that the SDR software I wanted to use was only available for Windows. But now I felt it was time to go back. I have not run Ubuntu earlier, previously it has been Slackware, Debian and OpenSuse (in that order in time), but I can only say that I am impressed with Ubuntu today. Everything worked "out of the box". No fiddling with drivers as it has been in the past. This Saturday I attended a meeting in the ham club with the topic LTspice. If you have not heard about it earlier, it is a software that can simulate circuits. A very good tool I think. The introduction was held by Volker SM5ZBS. You can check out his homepage. It is in German but I think it is interesting and can be translated if needed. On the screen above you see my new Ubuntu desktop and LTspice which is a Microsoft Windows software is running. You may ask how that works? It is running in Wine, a tool in Linux that makes it possible for some Windows software to run in Linux. Works great! By the way, the circuit that I have laid out is a audio filter I found in chapter 15 in the book CRYSTAL SETS TO SIDEBAND by Frank W. Harris, KØIYE. It a free download as everything I mentioned in this post! I´ve been having some fun during last couple of days. I live in an apartment where I don't have that much of space for antennas and regular radio activity. But at a relatives house where a lot of trees is available I´ve been playing around a bit. I have been here some year ago and at that time I was laying out BOGs (Beverage on ground) antennas and I was DXing for AM stations in South America, but this time I wanted to focus on the amateur radio bands and in this case the 20m band. One easy antenna to build is a vertical using stubs to get a good match that I learnt about from SE5X. The radiator element was around 10 meters that I throw up in a tree. 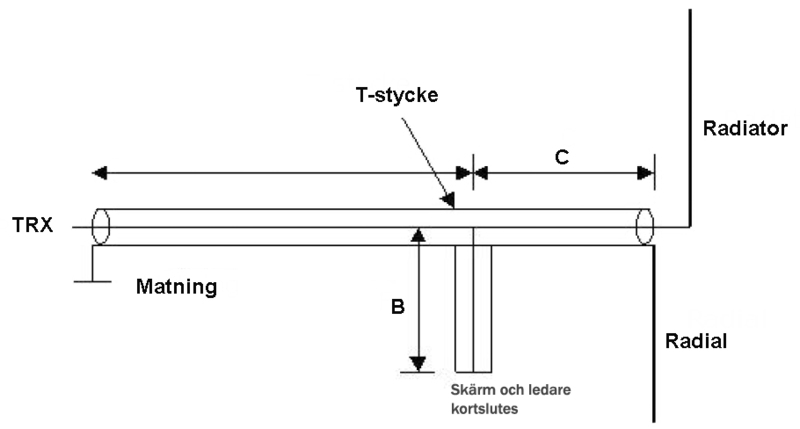 If you would like to build this antenna, this PDF from SM0JZT describes the lengths of each segment. It´s in Swedish but I think you will understand if you are interested. Otherwise let me know via the comments. When everything was installed last Monday it had went dark so 20m started to close and I never got a QSO. Instead I setup the QS1R and prepared for remote listening via LogMeIn Pro. Below is a capture taken on my home computer. I have connected to the LogMeIn server via the web browser so this is the experience I got. The connection is a quite slow ADSL so I set the update rate of the waterfall to a slow setting. As this was done late when 20m was dead, this is 40m. During last week of August me and my second operator visited my parents and there was a Icom 707 for me to borrow, so why not try some QSOs on the shortwave bands for the first time ever. 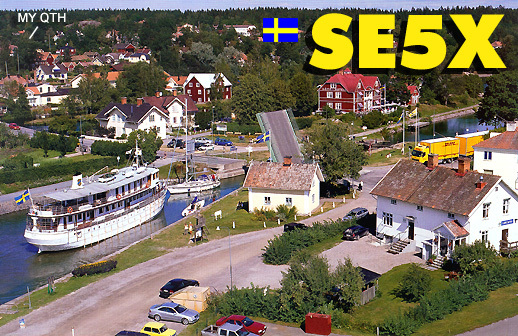 I operated as SA5BKE/4 and made around 15-20 QSOs around Europe on 80 m up to 17 meters. Great fun! I also promised to send out some QSLs but haven´t made any attempts yet. I am thinking about making some custom ones with this method. Some week later I saw a Kenwood TS-450SAT for sale at a good price. As it was only 30 minutes drive from here I went there and took a look. Seemed to be a nice rig so I bought it! 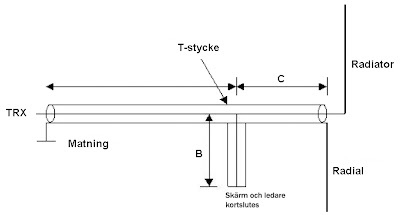 On 12 September I could try it with my 15,5 m longwire on 4 m height with my home made 9:1 unun. I only made 2 QSOs on 80 m and 17 m, but everything seemed to be fine business. I used a car battery but I now started to look for a power supply. 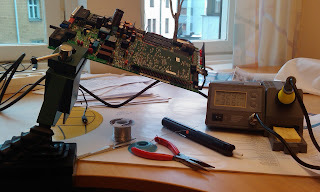 Maybe I find a good one on the upcoming ham radio flea market here in Norrköping in a couple weeks or maybe try to convert a PC power supply? Summer of 2010 has been one of the better ones. Very pleasant weather and I have been home with my son for a couple of months. It has not been that much time for radio. I have done some listening and few times been working on some test equipment, but that will be covered in a post within a few weeks. I have also had my HF band debut, but I give a report on that within in some day or so. I have mentioned earlier some interference problem when using the QS1R SDR receiver. One easy solution that I tried and seemed to work was to solder a connector to the 5 V connection in the PC power supply. A lot cleaner than the switching power supply I used earlier. Old PC power supplies can be had for free so maybe I should take use of them more. I also plan to make a 12V->5V regulator to try to run the QS1R from batteries together with the laptop. A 9:1 un:un for random longwires has been made. See image below. No transmitting with it yet. Texas Instruments has released a micro controller development board called Launch Pad . It was available for $4, so I ordered one. Maybe they want to compete with Arduino ? 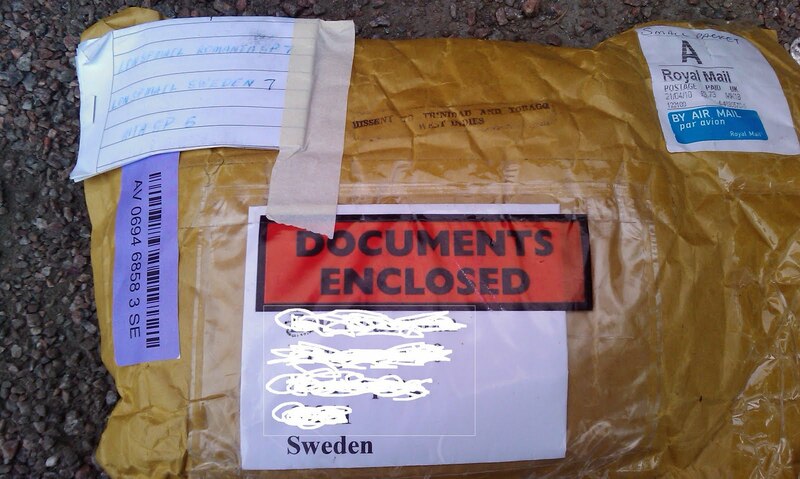 The package came and below is a photo of the content. I have not played with it much yet. I do some shopping on Ebay and mostly from far east. My understanding has been that when I order cheap stuff with low or no shipping cost I take the risk if it gets lost. I ordered some parts from Thai Shop Etc and when I hadn´t received it within a month I started to think I was "scammed". But when I contacted them they said they either will refund me or send the stuff again. I choose the latter and within a week I had it in my hands. Very good service! So I would say that I recommend them. The Medium Wave DX season 2010-11 has started when I received some common stations from North American on the 21 August. 1130 WBBR, New York as always the strongest. 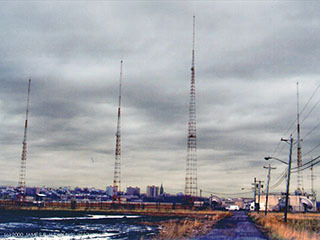 A shack is what someone interested in radio usually calls where they have their radios permanently installed and used. 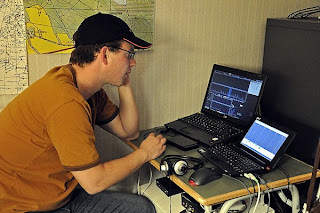 I´ve never had a shack like that as I live in an apartment and all radio use from here has been temporary and the serious DX chasing has been done at the DX listening club. Now I start to have something that could be called a shack in my wifes parents summer house where I recently installed a 15,5 M longwire antenna. 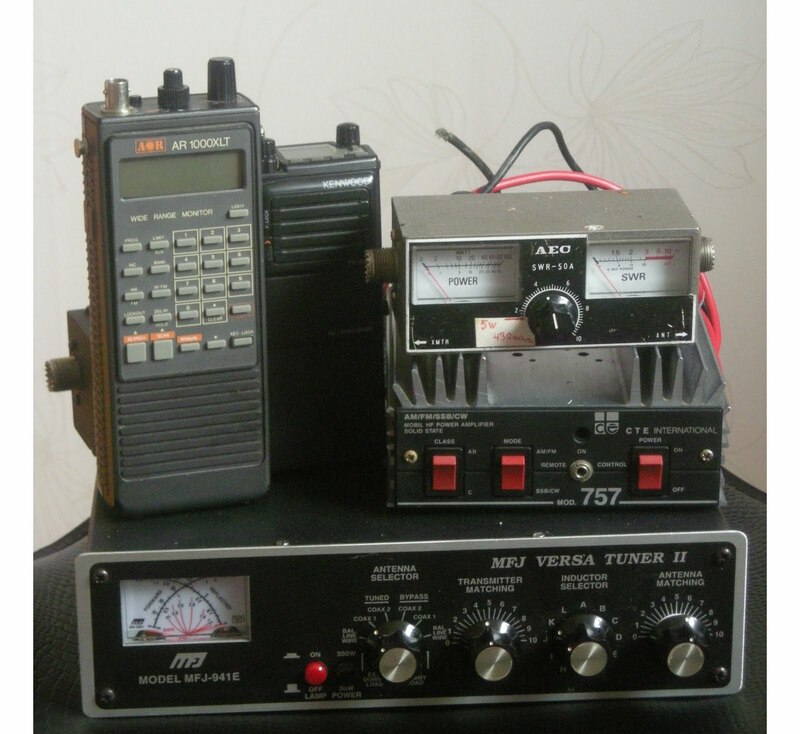 The receivers you see on the picture here is a borrowed Icom R-70 and the QS1R. I struggle with some interferances but I think I will be able to solve them very soon (more about that in later blog post). I also got a computer on the bench. 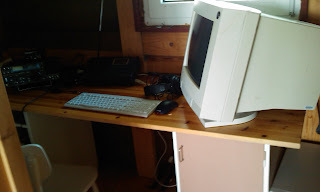 It´s actually one of my older main PC:s from a couple of years back. It´s an AMD Duron 1300 MHz with 768 MB RAM and 120 GB disk. It runs Windows XP and soon will have Kubuntu on it too. I actually have been a Linux user since the early days of Slackware, and then Debian (used when I and a friend set up the first email system at our school) via OpenSuse (chosen because we use Novell Suse Enterprise at work for database servers) and now I think I will try Ubuntu (or actually Kubuntu to give it an european touch). I see Ubuntu being mentioned on the ham radio groups and mailing lists so it might be the best choice now. I gave up with Linux and changed to Mac when I got the opportunity to be a Campus representative for Apple at my university a few years ago. I liked MacOS very much as it gave me both Unix and some fancy software like iLife. Something I learned during this period was that I will not work with sales in future careers! I moved to Windows again and it was actually because of radio. My first SDR was the SDR-IQ from RfSpace and the software, SpectraVue, could only run on Windows. But I would like to go back to Linux and if recording capabilities in the new QS1R software arrives I might be able to do that. I ordered a MKARS80 transceiver kit a month ago and when it didn´t sbow up here I started wondering. But given that there has been and still is a ash cloud over Europe I understand that it could be delays. Today it came. Take a close look at the package above to see where it went! ...to the goal to be active on the HF bands are what I´m taking. But I´m in no hurry. Last week I found someone that sold "a lot of radio equipment". It seemed to be mostly CB equipment but I went there and took a look and see if I would find anything interesting. I stayed there for 2 hours! I had to stop myself from dragging home too much, "maybe good to have" things. The T130-2 toroids I will use together with longwire antennas. The ferrites are for a receiver and good to have in the future. The 30 m LPF I will use with the Genesis Q5 probably in QRSS mode but have to get a 10.140 MHz crystal first. Probably will be from Genesis if I don´t get any other option? The SWR bridge will go together with two ampere panel meters that probably is on it´s way from China right now.Also got 5 NE602 mixers to use with the receiver (more on that later). During last week I tried to build a dipole, with Slinkys! I really didn´t have any time to evalutate performance (and it was also hanging maybe too low to be a good antenna) but I kept it on receive on the WSPR system. I got a nice gift from my wife, Make: Electronics. A well illustrated book on basic electronics. I think I know a bit about the subject, but I thought that it would be good to go through all the experiments to make sure I really understand the basic theory. It also includes some chapter on digital logic which I have not played with at all. I might document some of the experiments in future blog posts. Using the same equipment and QTH as last time I now finally tried the WSPR system that I´ve heard a lot about lately. I only run with receive but I hope to be able to transmit sometime soon. Basically WSPR is a narrow digital mode to be used as a beacon. When you receive and decode a WSPR station, which is done automatically in the software, it uploads the spot to a central database and can be tracked by other users. 2 Valve radios that of course included variable capacitors, an old box with big variable resistors, some kind of alarm controller (atleast a box for other project) and an equalizer. Also got some telescopic antennas and cables (twin lead and speaker cable). I didn´t pay much, so I think it was a bargain! I´ve had the QS1R receiver for about 1,5 years now. It´s a great receiver, one of the most advanced software defined radios that you can get among those aimed for private use. The major reason why I bought it instead of the Perseus is the openness. All code is GPL! The software architecture is really first class, where DSP are done in a server process and the GUI is in another one. The major drawback with the current state of QS1R software is unfortunately that it lacks spectrum recording, maybe the most important feature for a DX listener. The idea of recording a wide bit of the AM band on top of the hour and then be able to go over every interesting frequency at a later time is something we have got used to. Luckily I can use the QS1R with another software, Winrad orginally developed by Alberto I2PHD, that supports recording. A new version of an alternative version of Winrad called WinradHD was recently released and also a new DLL plugin for QS1R was released also. Now I can record up to 2 MHz wide but I only need around 1200 kHz (1710 - 530). A lot of HD is needed. I tried to listen for DX on the morning of 5th of April with only a mini whip antenna (designed by PA0RDT), see top image. 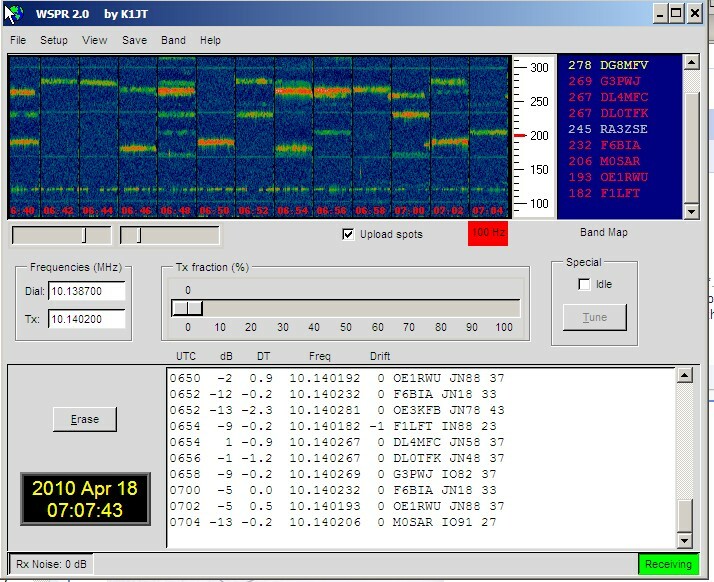 K-index was from 3-7 so no transatlatic DX was noted I thought at first and we are also late in the season, but after a closer look on the files I see that there are some sunrise improvements and around 0400 UTC there are some Latin American stations on the higher portion of the band (1400 - 1600). I´ve not had time to go through them so I can put definite IDs but my guess is that it´s stations from Venezuela, Colombia and Peru. I hope to try this receiving setup more during the Spring. When I rediscovered the radio hobby 4-5 years ago my main interest soon become medium wave DX-ing. It means that I like to try to listen for local AM stations mostly from America. It could be sports, news, music or other kind of stations. In south and central america it become a little more challenging as the language is usually Spanish. One might wonder what´s the fun of that. I think it´s a great hobby in many different ways. It could be technically challenging both with receivers and antennas. One of the most common medium wave dx antennas is the Beverage antenna . It´s basically a wire that goes horizontally in the direction of the desired area (North America for example) and is usually put in the trees in the woods, for at least a couple of hundred meters.But you could of course get lucky with simpler antennas. 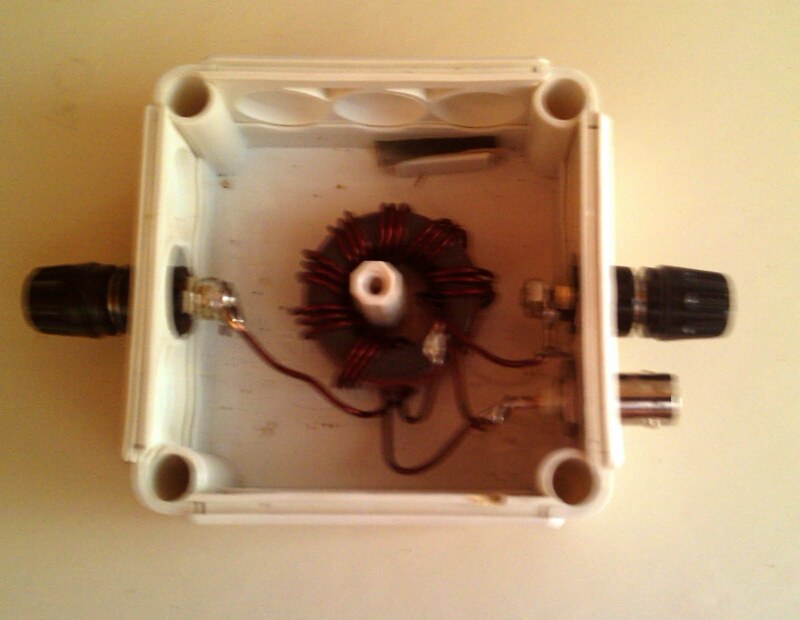 During the Winter I´ve been able to receive some stations even with a portable radio with ferrite antenna. The American radio stations are spaced 10 kHz apart compared to the Europeans that are 9 kHz apart. You can see the carriers of both European and American stations in the image above. Another aspect is language and geography. Sometimes you never know where the conditions will take you. In one minute you are in Cuba and then you are in New York, as an example. I haven´t been listening to the medium wave during the last months (when it´s been very good conditions!) mostly due to that fact that I can´t devote as much time to the hobbies as I want, and the little time that has been there was used to study for the ham radio license. 680 WRKO Boston MA "This is Boston's talk station AM 6-80 WRKO"
1070 KNX Los Angeles CA "This is KNX 10-70 AM and HD"
1190 WLIB New York NY "Your praise and inspiration station"
Lennart SE5X, is a friend in the DX listening club that has helped me with different areas of the radio hobby. The plan was to have my first QSO with him, but he came second. So I was very pleased when I received my first ham radio QSL card with the post some days ago from him. Thanks Lennart! Ok, now it´s done. First QSO completed. I did check in to the local club net a while ago, but today I heard SM5DVP call CQ on the nearby Echolink node SL5ZYT-L on 145.275 kHz that I happened to monitor. I answered and had a nice chat with him. He was in Eskilstuna connected over Internet and I used my newly purchased Wouxun KG-UVD1P . It´s a nice radio with very good value for money I think. I will buy another battery and BNC connection so I can connect it to some other antenna later on. I want to try out satellite communication. Talking about Echolink I have signed up and validated my call sign. I will try it later on to see if it´s any good. I found a book as an E-book at the university library: Radio and Electronics Cookbook that was published by the Radio Society of Great Britain in 2001. I have skimmed through it briefly and it seems to cover both some radio theory and some interesting projects. I do have a lot of "maybe" and "should be" projects in my head (that I will cover in later blog posts) and now I think I decided, apart from getting the softrocks built (as they are already on my desk), I would like to build a hardware defined receiver. A very basic one to really try to understand how a radio works. In this book, I found one called the "The Colt 80 m receiver" that I liked, because it´s built in modular steps and quite thoroughly explained. 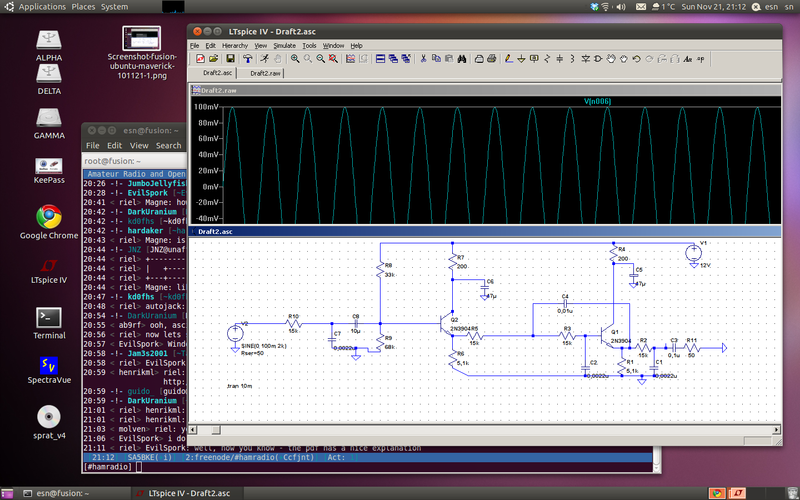 It starts with the audio amplifier and then adds mixer (NE602) and VFO to become a direct conversion receiver. The last part is to add an IF stage to become a superhet. What worries me a bit is that I can´t find any reference to this design when I google it. Or maybe blogs and so on wasn´t that common 2001 and earlier or this design is named something else elsewhere? A bigger problem is the availabilty of parts. Variable capcitors to be used in a VFO can´t be bought new, but I´ve have asked around in the club and I think that will be solved. For the two first ones I have found a guide at the GQRP club (that I by the way have joined; Sprat is a great magazine), so I can make those inductors with toroids. But the last one, I have no clue. Any ideas someone? There´s also a part number for a crystal filter, but I think I can use another one for 455 kHz. We will see if there will be a part 2. To be able to build my amateur radio equipment I have to solder electronic components. That´s a basic fact. 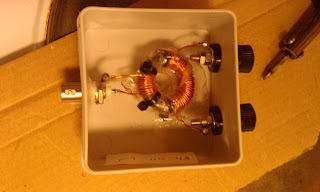 :-) My experience so far with soldering has been coax cables and wires from torroids to be soldered to connectors, that is impedance transformers for receiving antennas . For that task a very basic soldering pen has been used. But if I want to be able to solder small components I have to have something better. I started bidding on nice ones I saw on auction (Weller etc) but they all came up on level I didn´t think it was worth spending. Probably they all are alot better than the one I bought. Time will tell. The one I found cost 600 SEK (~80 US dollar) on the local store Kjell & Co, but it´s atleast equiped with temperature control and the tips can be changed over to smaller ones. You can see an ancient modem on the bench in the top image for practicing. When I feel compfortable with my soldering skills I will move over to build the Softrock Lite II for 30 meters or maybe I start with an FM receiver kit I got laying around. Before I can get to the SMT components I think I have to get hold of some nice flux. This is a blog mostly about radio and adjacent areas. It´s written by Eric, licensed ham radio operator since February 2010 with the call sign SA5BKE. 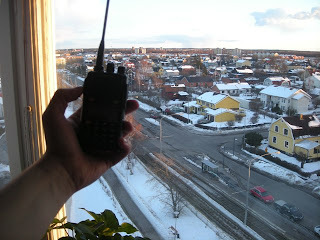 Even though I just got my license, I´m not a complete novice in the hobby of radio. My main interest during the last 4 years has been medium wave DX-ing and software defined radios. More about these topics in later posts.